Hi friends! You may have noticed the absence of my vlog for Monday, and the delayed post for today. I have some important news about Keys to My Life for the next few months while I'm in Florida, which I'm sharing today. I've only been in Florida for a week and a half now, but it's been busy. For the last five days I've been working 6-8 hour shifts which requires lots of walking and not a lot of sleep. I thought that based on my last program I would be able to continue balancing my blog with work and play. Unfortunately I've had no time to vlog, or even edit the little vlogging I've done, or research the blog posts I have planned. On top of that, I've dealing with one of the worst bouts of depression in awhile - one that is causing me to doubt all of my friendships. Many of my friends are spending their days off in the parks - as they should - but it's often on days I am working so I feel lonely when I'm not able to go. My friends from back home don't have much communication with me, even the friends I would consider to be best friends, so when I'm home alone on days like today, the lonliness gets even worse. So how am I going to deal with this, and keep my blog running? I'm not. 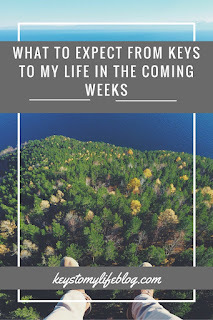 I am taking a break from consistent 3x weekly blogging. Now that doesn't mean I won't continue to blog about my experiences in Florida, or do the occasional update. I definitely will, and I plan to continue vlogging during my adventures! But for now, I can't continue full-time blogging. It's mentally exhausting me and I can't add any other stress to what I'm already dealing with. I could use some prayers and support. I'm going back and forth between sitting in my room watching Netflix alone all day, to working 8 hour shifts at a location that isn't what I was hoping for. (More on that later.) I just need to know there are people out there that still care about me and are thinking about me. I know I'm oversensitive right now, but any support I get helps. Thanks for continuing to follow my life and adventures!